In December a question mark still hung over the future of the Brexit negotiations between the EU and Britain. This indicates the problems that will lie ahead for these negotiations in the coming months. The most important and contentious question was: What will be nature of the border between Northern Ireland and the South in the context of Britain leaving the Single Market and Customs Union? This constitutes the only land border between the EU and the UK. For now, a wording has been put in place that has allowed the negotiations to proceed, with the government of Theresa May giving a commitment that there will be no “hard border” on the island of Ireland. While David Davis, Tory Minister responsible for Brexit, has more recently backed this stance, his initial pronouncement cast doubt on it. After the “deal” was concluded Davis said that it was only a “statement of intent” rather than being something “legally enforceable,” which is illustrative of its precarious nature. It is clear that the European Commission wanted to use a sensitive issue, such as this, as a means to water down the impact of Brexit and to ensure that Britain does not leave the Single Market and Customs Union. 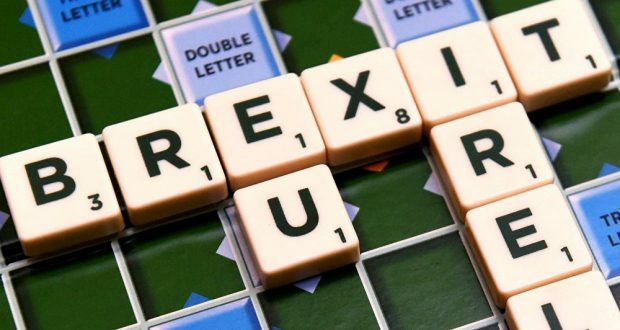 They want to make it as difficult as possible for the latter to exit the EU in order to send a message to all others: that you cannot attempt to leave the EU – and if you do, you’ll be punished. The Brexit referendum has resulted in a 13% fall in the value of sterling against the euro since June 2016. If Britain leaves the Single Market, this could potentially see the introduction of tariff barriers between Britain and Ireland. This, alongside the currency fluctuations, could have an impact on indigenous Irish companies, such as those in agri-business, which accounts for 12% of the workforce in the South. Irish-owned companies, such as those in food and drinks, are very much reliant on exports to Britain, with 37% of what is produced in Ireland being exported across the Irish Sea. The fall in the value of sterling and the introduction of tariffs will make their produce more expensive and in turn less competitive on the British market. Of course, those extolling the virtues of capitalism proclaim that it is a dynamic system driven by entrepreneurial “risk takers.” Capitalist companies are supposed to be able to weather economic difficulties that come with events like Brexit. There is therefore a notable hypocrisy in Irish capitalism bemoaning the economic consequences of Britain leaving the EU, rather than being willing to “compete” on the capitalist market. Since 2008, we have seen how working-class people are forced to pay the price for the various crises under capitalism, and the economic fallout from Brexit will be no different. Ultimately this fallout shows how the ruthless drive for profit that lies at the heart of capitalism will result in cuts to pay, the laying-off of workers and attacks on labour rights. There is no-one present at the Brexit negotiations who will represent or take up these vital questions for working-class people. This is because the European Commission and the various governments comprising it, including the Varadkar government and the Tories, are entirely devoted to the interests of their own capitalist classes. Ultimately the bosses will choose to make the working class pay in order to maintain their economic position. Potential economic difficulties surrounding Brexit will be used in a sort of “shock doctrine” strategy to enhance neoliberal policies, such as lowering wages, casualisation in the workplace and cuts to public expenditure. We saw such an approach when the Troika imposed its draconian austerity programme on Ireland in 2010. This was implemented in the interests of the major European banks and the financial markets. More recently, the government has used the supposed threat of multinationals withdrawing their investments to justify Ireland’s status as a tax haven for big business. These cynical scare tactics – used as a battering ram for the bosses against working class people – must be rejected. The trade union movement needs to firmly demand that workers pay no price for whatever arrangement comes out of the Brexit negotiations. 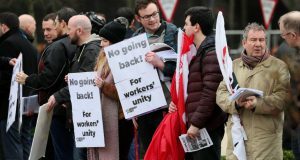 Representatives from the trade union movement on both sides of the border in Ireland, and from Britain, should immediately come together in a special conference of workers’ representatives to coordinate action to ensure that there are no cuts to pay, attacks on conditions or shedding of jobs flowing from Brexit. Such a conference must prepare workers on these islands to take whatever industrial action is necessary against any attempt to deepen neoliberal policies. It was the willingness to take this kind of action that forced Ryanair recently to do what seemed unthinkable for many, by allowing pilots and cabin crew to organise in a trade union. It is important to note that a key part in ensuring this victory was coordinated industrial action by Ryanair pilots across Europe. The unity of working-class people is decisive in ensuring that they cannot be played off against one another by the bosses in Ireland and Britain, and that their living standards are not once again put on the capitalist chopping board. The trade unions need to adopt an action programme to ensure this does not take place. If there is any economic fallout from Brexit it is the profits of the multinationals that must be hit, not workers’ pay and conditions. Any company threatening workers with job losses in the months and years ahead needs to be taken into public ownership to ensure the livelihoods of working class people are maintained. The dispute over whether or not there will be a hard border on the island of Ireland (or potentially on the Irish Sea), in the form of custom posts, ultimately reflects the growing tensions and conflict between two neoliberal capitalist powers. Neither side represents the interests of the working class in Ireland, Britain or throughout Europe. It is the interests of big business and financial markets that are being represented at the Brexit negotiations. In Ireland we are being “represented” by the Varadkar government which is overseeing a housing crisis, a sharp rise in precarious work and economic growth that is overwhelmingly benefiting developers, vulture funds and multinational corporations. Naturally the media and mainstream capitalist commentators are ignoring the class interests that lie behind these negotiations. Both the EU and the Tory Government are determined to bring about a situation where big business and banks in their respective countries gain, and profit is maximised at the expense of workers’ rights and conditions, public services and our environment. The pernicious role that both the EU and the Tories have played in brutally enforcing neoliberal policies should not be forgotten. The Tories are the traditional party of British capitalism which led the Thatcherite counter-revolution that decimated Britain’s manufacturing base, privatised public utilities and drastically undermined public services. Since coming to power in 2010, they have implemented a vicious programme of austerity which, according to a recent landmark study, has resulted in 120,000 extra deaths due primarily to cuts in health and social care. For its part the EU notably proved its neoliberal credentials in its war on the living standards of the Greek working class from 2010 onwards, particularly when the latter elected the government of Syriza in January 2015. Here in Ireland we face a situation where public services are starved of investment and there is a dearth of public housing being built due to the fiscal straitjacket that has been foisted upon us. These fiscal spending rules and the Austerity Treaty it introduced, with the connivance with the Irish government, have effectively written neoliberalism and austerity into law. Capitalism in Ireland and Europe, and its representatives in the form of the Irish government and the EU, can only offer working-class and young people a future where there is a consistent undermining of our rights and conditions through neoliberal policies. We need to build a new party for working-class people in this country based on an anti-capitalist, socialist programme that delivers for the needs of the majority not the profits of the 1%. This means fighting for a left, socialist government that stands for a massive increase in public investment to ensure we have the public services we need, and for the building of social and affordable houses for those that need them. Such a government will invariably have to challenge the model of Ireland being a tax haven for the super-rich, and break with the draconian fiscal rules of the EU and with this capitalist institution itself. It will need to break with capitalism in Ireland by taking the key wealth-producing sectors of the economy into democratic public ownership. In the last number of weeks the virtues of the Europe’s Single Market have been proclaimed by the right-wing media in the context of the Tory government outlining its clear intent to leave it. The Socialist Party understands that there is an internationalist consciousness and an aspiration for cooperation and trade between countries amongst working-class people; this is particularly true of young people. This in turn may result in support for institutions such as the EU and a desire to maintain the Single Market. However such co-operation on a capitalist basis can only serve the interest of the respective capitalist classes of Europe as the experience of the Single Market itself has shown. Founded in 1986, the Single Market is by its very nature rigged in the interests of big business at the expenses of workers’ rights and conditions. Various EU directives and regulations linked with the Single Market (drawn up by the unelected European Commission) mean that all the state-owned companies should be opened up to “competition” within the capitalist free market. These directives are designed to undermine widespread state ownership of the economy and in fact ensure the privatisation of state-owned companies. Linked with the drive to “liberalisation” are limitations on state investment and rules banning state aid to companies. For example, these rules would prohibit a state-owned rail company investing in better infrastructure, more staff and cheaper fares on the state routes as it would undermine the competitiveness of privately run routes. As workers in Bus Éireann have discovered, opening up public transport to private competition has resulted in a race to the bottom in the transport industry, as non-unionised and privately-owned firms have sought to drive wages and conditions down in the industry to maximise profits. In the last decade there have been notable examples of how the Single Market has been used to attack workers’ rights and conditions and the ability of workers to fight back through collective bargaining. In 2007, the Viking shipping line sought to reflag its Finland-to-Estonia route to take advantage of the lower wage rates of Estonian workers, mimicking the actions of Irish Ferries in December 2005. The European Court of Justice (ECJ) ruling not only endorsed this scheme, but effectively sought to limit the right of Finnish trade unions to strike against these actions. A similar situation unfolded in the Laval case in 2009. Here a Latvian company won a contract to renovate schools in Sweden and in turn refused to sign a collective agreement with the building workers’ union in Sweden, as it wanted to hire workers at Latvian wage rates. After the union organised effective industrial and blockading of its sites the company was unable to do business in Sweden. Consequently, Laval claimed that the blockade was infringing on its “corporate rights” and took a case against the union to the ECJ. Again the ECJ ruled that the industrial action must not obstruct the company from carrying out its business, and actually forced the union to pay damages to Laval. Other measures such as the Posted Workers’ Directive and the Temporary Agency Work Directive, which is used to promote precarious work, have been used to undermine workers’ rights in a similar way. The Single Market reflects the true nature and purpose of the European Union. Both were brought into being as an attempt by Europe’s ruling classes to try and effectively compete on the global capitalist market. Of course within this framework of cooperation between various nations there lies a mutual hostility. Whatever cooperation has taken place has come at the expense of the working class, as our living standards are slowly being decimated in order for European capitalism to compete more effectively and boost its profits. The experience of the Syriza government, which shamefully capitulated to the austerity programme of the Troika, illustrates how as an institution the EU can be used as a further attempt to block left governments from implementing anti-capitalist and socialist policies. While many are rightly disgusted by the anti-migrant and racist nature of the Tory party and the May government, the EU’s own racist and vile policies of “Fortress Europe” need to be called out. In the last few weeks Amnesty International have exposed the fact that EU governments are complicit in “…actively supporting a sophisticated system of abuse and exploitation of refugees and migrants by the Libyan Coast Guard, detention authorities and smugglers in order to prevent people from crossing the Mediterranean.” Last year, Medecins Sans Frontieres announced it would refuse to accept money from the EU or any EU government because of their wretched Fortress Europe policies. The European Union is a capitalist institution, wedded to banks and big business through lobbies such as the European Round Table of Industrialists. Far from bringing peace, Europe is becoming increasingly militarised as a result of the EU. The EU is inherently racist and the tragedy of the refugee crisis belies the myth that it stands for the free movement of people and breaking down divisions between them. The EU must be rejected. 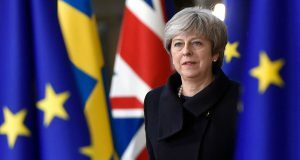 The May government is hoping to conclude what Jeremy Corbyn has correctly termed a “bargain basement Brexit” in the interests of British capitalism. It is clear that big business and the bankers and speculators in the City of London are eyeing up the advantages of such a Brexit, notwithstanding that much of big business was opposed to Britain’s withdrawal from the EU in the first place. Big agri-business companies want to introduce even lower standards in food production in the UK, such as chickens washed in chlorine, beef pumped with hormones and genetically modified wheat. Big business generally wants the Tory government to negotiate new trade agreements that will further erode workers’ rights and conditions. It is not an accident that between October 2016 and March of this year, 46 meetings took place between representatives of Goldman Sachs and HSBC and those of David Davis’ Department for Exiting the EU. This intense lobbying reflects their desire to be able have new and less regulated financial products for the super-rich to invest in. The Socialist Party in Ireland and our sister parties in England, Wales and Scotland want to see the Tory party kicked out of office. We want to see the election of government led by Jeremy Corbyn based on a socialist programme. Combined with ridding the Labour Party of its Blairite faction, this means rejecting the Tories’ austerity policies, their bargain basement Brexit and the Single Market. A decisive factor that led working-class people to vote for Brexit was precisely a rejection of these pro-big business and neo-liberal policies that British capitalism wants to deepen. Corbyn has said up until recently that he wishes Britain to remain within the Single Market in the context of a Labour government coming to power. However, there is a real contradiction between this position and the policies that won Corbyn massive support in the election last June. Policies such as the nationalisation or part-nationalisation of energy, rail and mail companies, as well as the creation of a state investment bank, are forbidden by the rules of the Single Market. None of the problems facing working-class people in Britain will be resolved without breaking with the capitalist EU and the Single Market and capitalism in Britain itself. It means implementing radical socialist policies that take the top 125 companies and financial institutions that dominate the British economy into democratic public ownership. The election of a Corbyn government in Britain is a distinct possibility within the next year. If it is willing to adopt a bold stance against capitalism and the bosses’ EU as outlined above, it could be an enormous impetus to movements of working-class people across Europe. This in turn would pose the question of building new parties of the working class across the continent and the election of left socialist governments that could challenge the rule of the bankers and big business. The question of Brexit has helped to exacerbate sectarian tension and polarisation in the North, particularly on the question of the coming into existence of a “hard border” on the island of Ireland or between Ireland and Britain. There is no desire amongst Protestants or Catholics for the creation of such a border. However, in the case of the latter a physical border in Ireland in the form of custom posts would be seen as a step backwards and a reinforcement of partition. For Protestants, the existence of an economic border between Northern Ireland and Britain would be seen as a further push towards a united Ireland. In the Brexit vote itself, a majority of Catholics voted to remain in the European Union while a majority of Protestants voted to leave. Many working-class Catholics feel that the EU can act to defend their rights given the systematic discrimination and repression they have faced since the foundation of the Northern Ireland state in 1922. Sinn Féin have said that any Brexit deal needs to ensure that North is subject to the jurisdiction of the European Court of Justice, implying that this body will defend the rights of Catholics in the North. In line with their general rightward trajectory, they have decisively altered their opposition to the EU and are now peddling the myth that the EU will uphold the democratic rights and national aspirations of Catholics in the North, and more generally that it is a progressive institution. The EU and other institutions of European capitalism which are not part of the EU such as the European Court of Human Rights (ECHR) are not forces that are capable or willing to defend the democratic rights of any section of the working class. In 1978, a case was taken to the European Court of Human Rights (ECHR) by the “hooded men,” 14 men who were subject to horrific and degrading treatment by the British army and the RUC in 1971 while being interned without trial. Despite all the evidence to the contrary the ECHR ruled that the British government had not engaged in torture. Another salient example of this is the endorsement by the EU and its respective member states of the repression by Spanish State in Catalonia late last year. The issue of a hard border reflects the clash of two valid national aspirations and national identities that lie of the heart of the sectarian division in the North. Working-class Catholics aspire to a united Ireland and rightly reject the Northern State that has given them nothing but poverty, systematic discrimination and repression. Working-class Protestants oppose a united Ireland, rightly fearing that that if they were to become part of the southern capitalist state they would become discriminated-against second-class citizens. The hardening of either border symbolises for both communities a denial of these legitimate national aspirations. The Socialist Party opposes any hardening of any border on this island as a result of the Brexit negotiations, whether it be between the North and South or between Northern Ireland and Britain. We take this view because a hardening of the border will only accentuate alienation and increase tensions among the communities. For us the rights of working-class people, Catholic and Protestant, to live without the threat or the actuality of sectarian conflict and violence, and in a society where there is a chance of a decent future, is more important than the battle between economic vested interests. The Brexit negotiations and the controversy over soft or hard borders is really about just such a conflict. We say that whatever way the different capitalist vested interests resolve their business dispute, it must be done without any physical or repressive borders. Further, we also say that they must take whatever measures necessary against business interests to ensure there is no reduction in food safety standards, no trafficking and no serious criminal black-market smuggling. Working-class people in Ireland, Protestant and Catholic, North and South, and in Britain and throughout Europe, have shared common class interests. These interests stand in direct contradiction to the various political actors involved in the Brexit negotiations. James Connolly wrote over 100 years ago: “The day has passed for patching up the capitalist system; it must go!” The last ten years of economic crisis and a “recovery” that is deepening neoliberalism and inequality, alongside the destruction of our environment, are proof of the relevance of these words. Capitalism must go, as must the EU and the governments that represent this system. On this basis we can break down the borders and divisions created by capitalism. We call for a socialist Ireland based on no coercion and with the right of minorities guaranteed, as part of a voluntary socialist federation of Ireland, Scotland, England and Wales as a step towards a socialist Europe. This can be based on the harmonious integration of different economies where the needs of the majority can be met.